Via next months GameInformer cover Warner Bros. just announced a brand new Batman game titled Batman: Arkham Origins for Xbox 360, PS3 and Wii U. 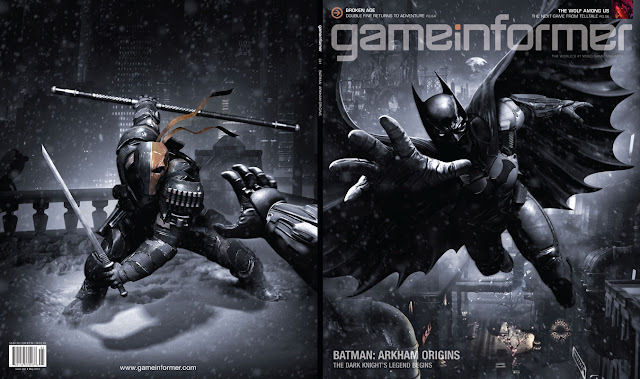 Just like the rumours suggested the game is a prequel to Rocksteady's Arkham games and focuses on Batman's origins. 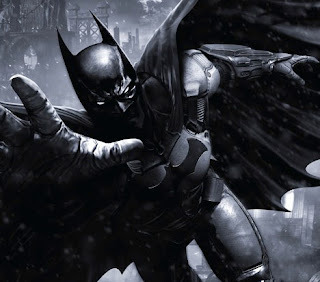 Batman: Arkham Origins launches October 25, 2013 and will not be developed by Rocksteady Studios instead it will be developed by Warner Bros. Games Montreal. Along with a console release a 2.5-D spin off titled Batman: Arkham Origins Blackgate will be coming to the Playstation Vita and the Nintendo 3DS, the game will release on the same day as the console version. And will be developed by Armature Studio, the game has been described as a "2.5-D Metroid-style exploration action game"
Remember that the PS Vita will not be getting a full fledged port of the console version of Batman Arkham Origins. And that the Playstation Vita release will be a separate 2.5-D game. Let us know what you think of Arkham Origins in the comments below!